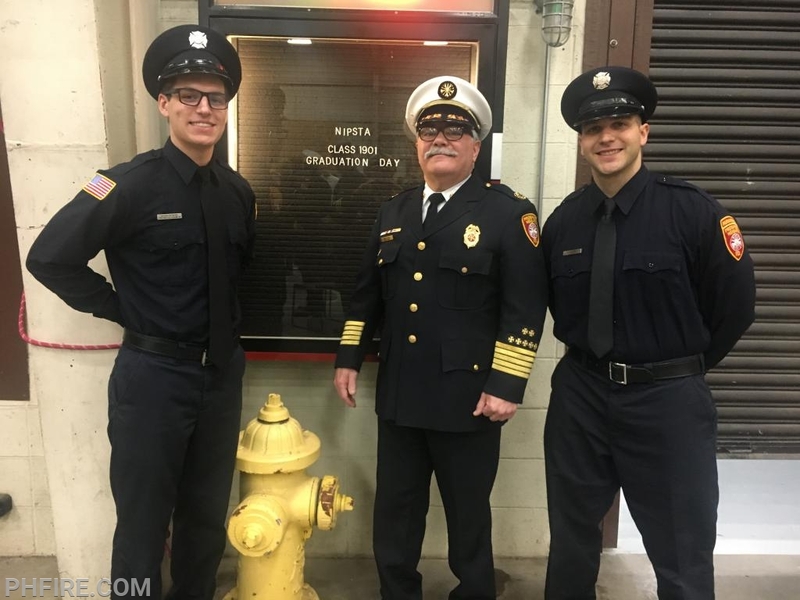 Last Friday, Jacob Senese and Luciano Laterza graduated from the nine-week, 400-plus hour NIPSTA Firefighter Academy. Chief Smith along with their family and friends attended their graduation ceremony. They now start their orientation to our organization and our specific policies and practices. Within the next week they will be assigned to a shift and begin to respond on calls. Welcome Aboard, Lu and Jake! We are honored to have you on our team.